Left to right: Peter Martinez (Secure World Foundation), Rosemary McCarney (Canadian Ambassador and Permanent Representative to the United Nations and the Conference on Disarmament in Geneva), Jessica West (Project Ploughshares), Theresa Hitchens (Center for International and Security Studies at Maryland), Jeroen Cooreman (Deputy Permanent Representative of Belgium to the UN). Credit: Project Ploughshares. 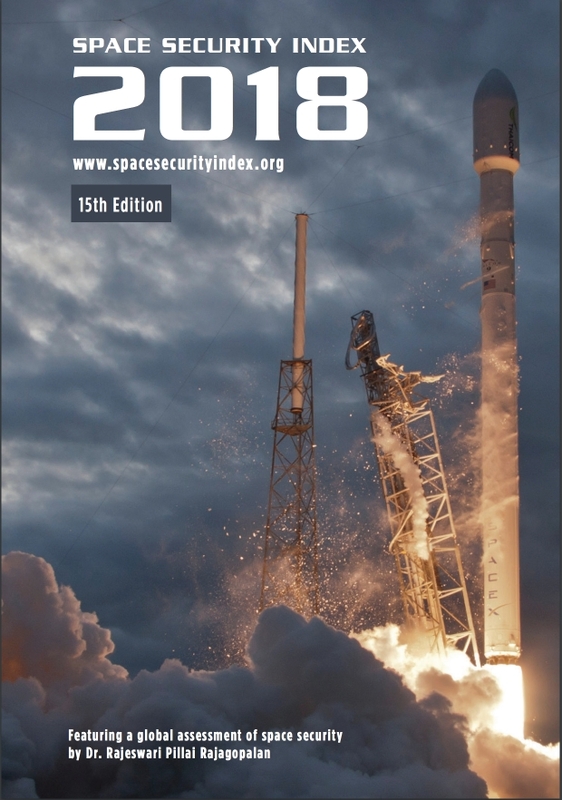 Waterloo based Project Ploughshares, a Canadian peace-and-security think tank, has released Space Security Index 2018 which states security conditions in outer space are deteriorating and leadership is needed. As with previous years, the report breaks down indicators, this time 18, into four focused areas; environmental sustainability, access to and use of space, technologies for space security, and space governance. The full 244 report is freely available online as is a shorter Executive Summary. U.S. plans for space-based ballistic missile interceptors that could mark the first deployment of space-based weapons. This years Global Assessment was written by Dr. Rajeswari Pillai Rajagopalan, a Distinguished Fellow and Head of the Nuclear and Space Policy Initiative at Observer Research Foundation in New Delhi, India and Technical Advisor to the Group of Governmental Experts on the Prevention of an Arms Race in Outer Space (PAROS). Project Ploughshares states that the Global Assessment is prepared by a different expert on space security every year to encourage a range of perspectives over time. More than 1,800 active satellites. Government space programs that spend a total of $62.6-billion a year. 62 states that own satellites. 2,000 lives saved annually through Cospas-Sarsat. Annual private investments of $2.5-billion in space startups. The Space Security Index 2018 was produced by civil society and academic organizations under the leadership of Canadian nonprofit organization Project Ploughshares. Partners include The Simons Foundation Canada; the Institute of Air and Space Law at McGill University in Montreal, Quebec; the Space Policy Institute at The George Washington University in Washington, DC; the Research Unit on Military Law and Ethics at the University of Adelaide Law School in Australia; and the School of Law at Xi’an Jiaotong University in China.